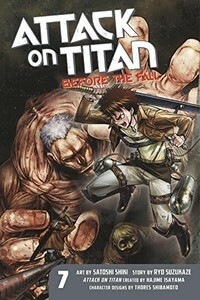 The Survey Corps sets a cunning trap to capture the mysterious Abnormal Titan that broke through their ranks. As Arwin tries to determine the grotesque creature’s identity and purpose, scouts report Titans closing in on all sides! But they don’t seem to be after the humans -- instead they’re targeting the Titan!